Product prices and availability are accurate as of 2019-04-16 12:55:13 UTC and are subject to change. Any price and availability information displayed on http://www.amazon.com/ at the time of purchase will apply to the purchase of this product. 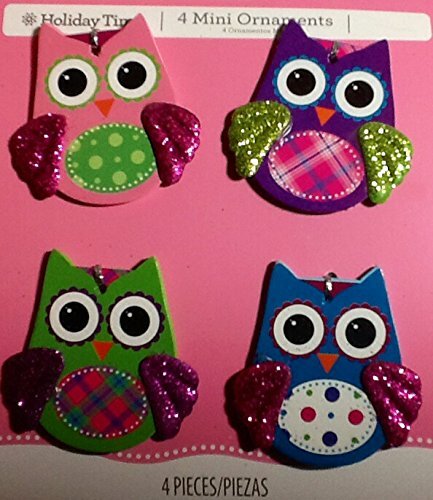 4 Wooden Craft pieces ~ Dimensional Owls ~ 2" x 2 1/2" Cute Locker Decor ~ Just glue magnet on the back! Excellent item to finish your latest craft project or gift! Easy to personalize, add character, attach to most anything! Recommended- Spray with clear lacquer before attaching to project to protect coating & keep glitter from degrading.